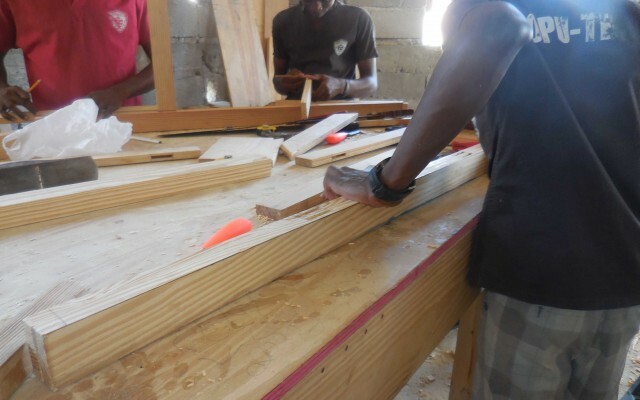 Noting the ravaging unemployment in Haiti, SOPUDEP’s founders have yearned to implement a professional training program for their students since the inception of the school in 2002. After years of providing services such as classical education, a hot lunch program, and more recently the scholarship program, SOPUDEP’s opportunity to provide a technical center is finally coming to fruition. According to the latest estimates provided by Fritz-Gerald Louis, an expert in economic analysis and international development, the unemployment rate in the country is 35%. Of the 2.9 million people in the labor force, the informal market accounts for 1.9 million or 64.5%. With an estimated population of 10 million, 150, 000 young people are introduced each year on the labor market in the country. Regarding the unemployment problem in the country, the same expert said that young people are the first victims of this scourge. Today, 47% of the Haitian population lives below the threshold of extreme poverty on less than one US dollar a day and the percentage of the population living in poverty on less than two dollars a day is rated by the World Bank at 60%. Unemployment in the formal market gains a foothold in the country daily, but it is the informal market where the entrepreneur can create opportunity for his or herself. What’s vital to stand out and succeed however, is a tangible skill in which to be able to offer the community. The difficulty that the average Haitian student faces in order to attend university or a typical vocational school in the country is saddening. For years, SOPUDEP’s team noted the barriers their students faced to find employment post graduation and longed to provide their students the means to thrive into adulthood. With a few odds and ends and some scraped up donations, the SOPUTECH professional center started as most things do at SOPUDEP: as a leap of faith. “We wanted to provide this program for our students, so we had to begin with whatever means we had at hand,” stated Ms. Rea Dol, Director of SOPUDEP. 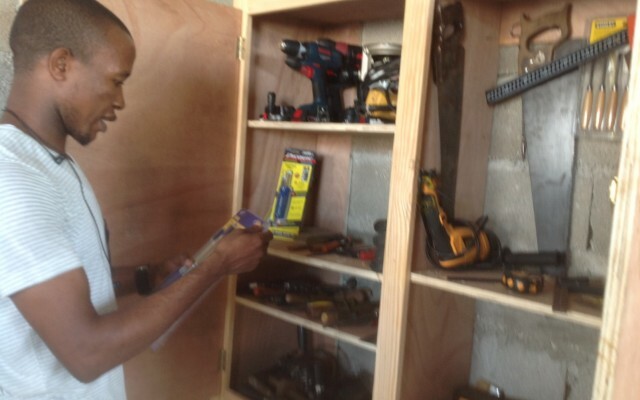 Hiring teacher’s skilled in manual trades, such as cabinetmaking and sewing, they introduced the program during SOPUDEP’s inaugural summer camp in August 2013. Not everyone can build a career through university, so SOPUDEP is providing trade skills that can be used to start a profession. 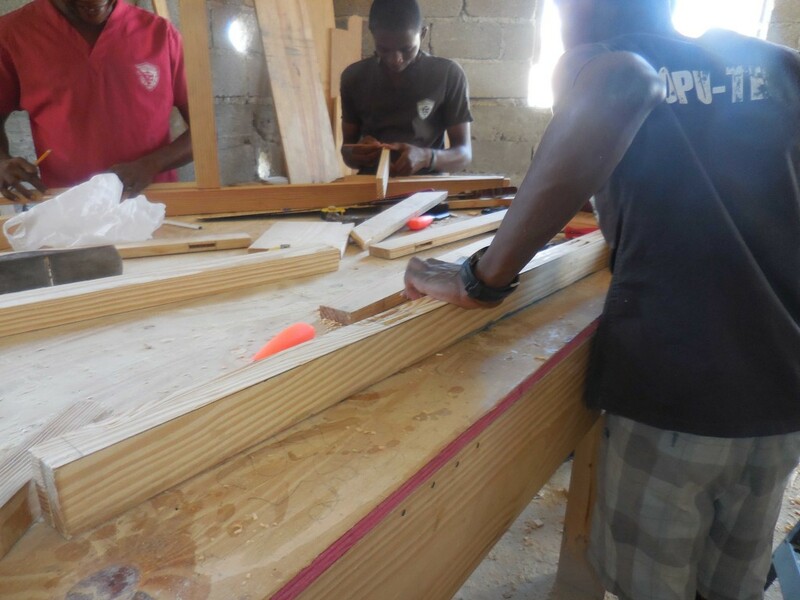 More recently, the carpentry class has been working to build all the benches and desks that will be used at SOPUDEP’s new school, which is currently under construction. “I am proud of my students. 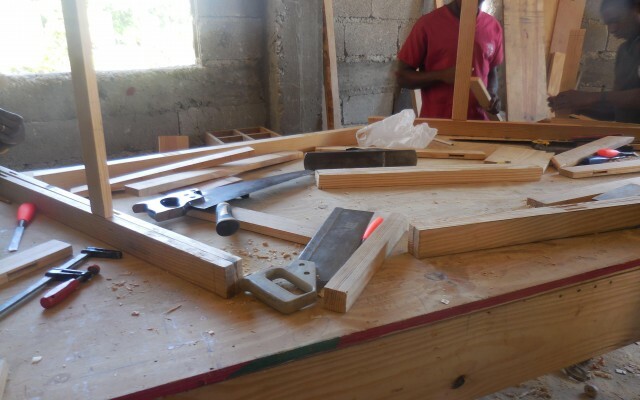 They have learned to build functional pieces of furniture in a very short amount of time”, Bissy Bataille, Professor of Carpentry reflects. Because of the students’ motivation and love for these projects and what they were learning, these students even convinced the teachers to let them work over holiday’s and weekends. Today SOPUTECH works full time. After school, the workshop is never empty. Their progress is remarkable! 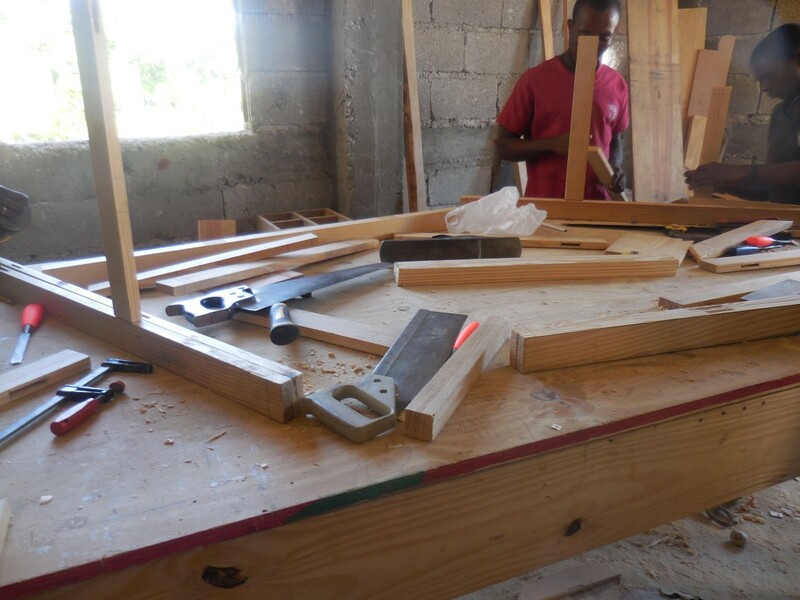 From August 2014 to the end of November, the carpentry class has made 72 benches, 10 desks and 16 cabinets. 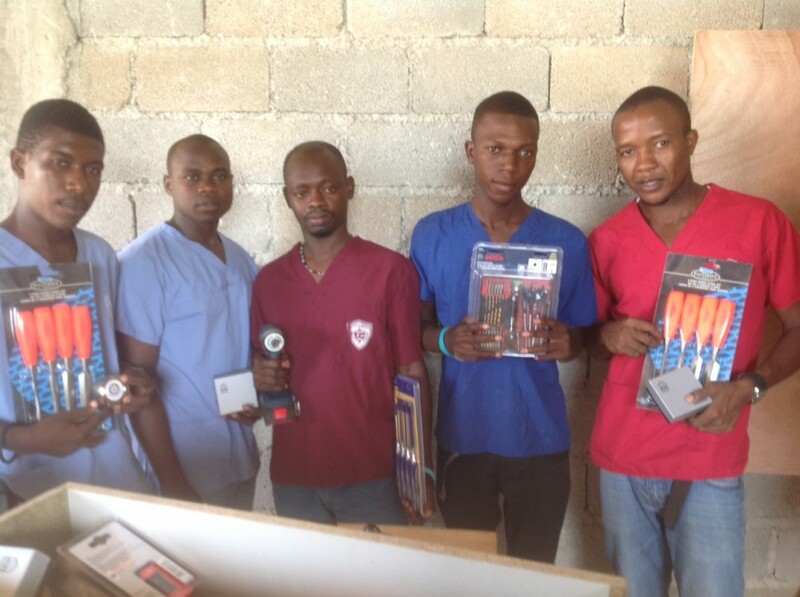 In a few years, these students will graduate from SOPUDEP with a high school diploma, accompanied by a manual trade in which they are already highly skilled. In addition to the training, SOPUDEP also helps these students sell their products to the public and develop a client base. For the realization of this project, SOPUDEP has received some funding from international friends. 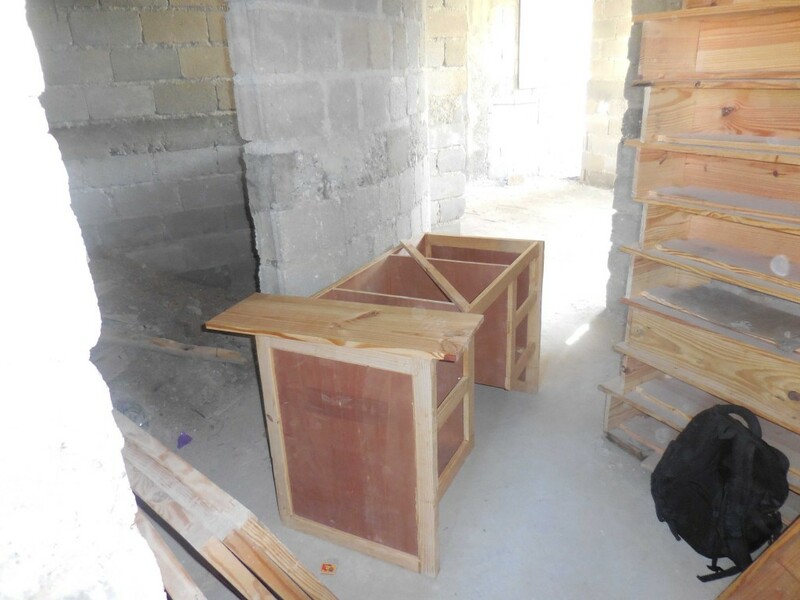 The Future for Haiti Foundation provided the material for the cabinets and benches on a six-month contract that expires in January 2015. 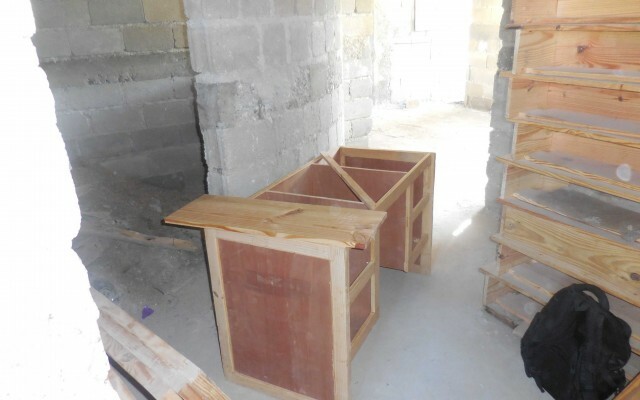 The Rotary Club of Barrie, in Ontario Canada is also providing funds for the sewing class and a cooking project which SOPUDEP hopes to turn it into a restaurant. 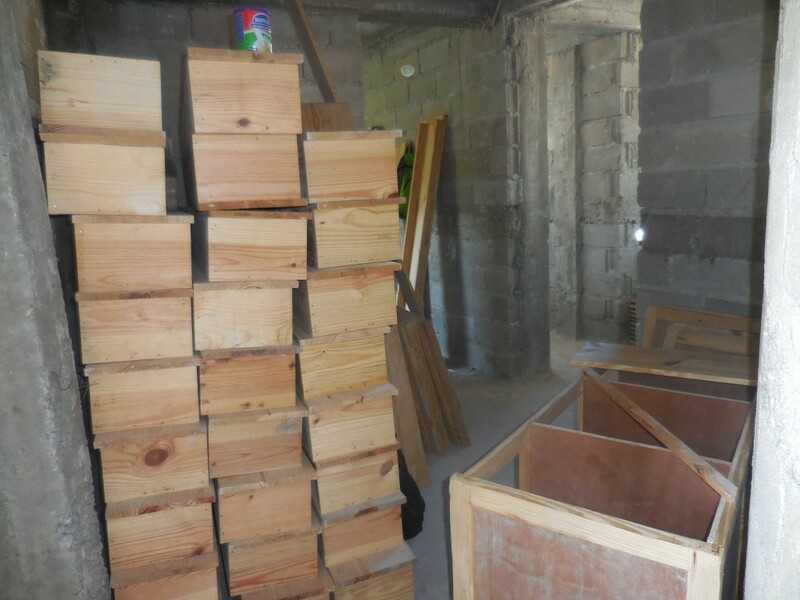 Woodworking is the most prominent and functional of the vocational classes, but there are others waiting to be fully implemented. For example, manufacturing solar panel inverters and sewing are already in effect, but are more large-scale projects that requires more structure because it can be used to help form multi-worker businesses. While the sewing class already has 16 sewing machines and 5 Serger’s, and the electronics class has essential tools, funding is needed for the construction materials. 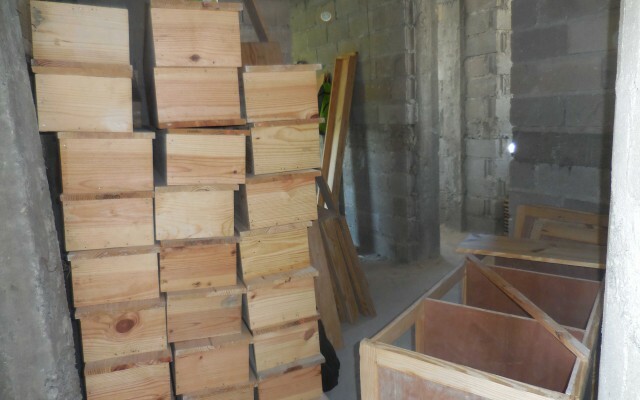 SOPUTECH is a joy and a relief for Haitian families. 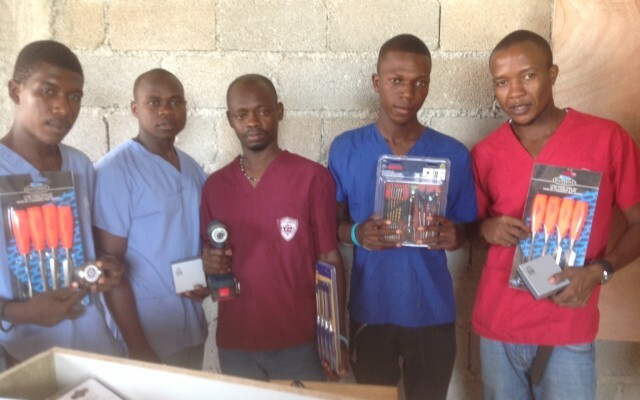 The labor problem is so great in Haiti, that offering training for these students’ is to give a glimmer of hope in the life of every Haitian parent. The most affirming and critical element in all of this, is that the training is provided completely free of charge to the students. In the Bible it says, “The harvest is plentiful but the workers are few. So pray to the Lord who is in charge of the harvest; ask him to send more workers into his fields”. We could also say that, the vision is large but has little means. We ask of our friends and supporters to help us with these means so we can accomplish great things for our people. 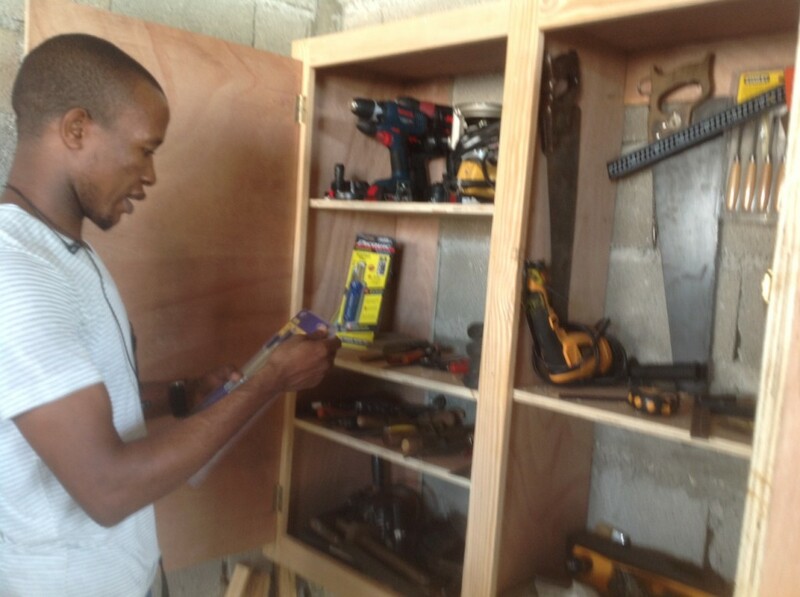 SOPUTECH is the beginning of a trend to get young professionals into the job market in Haiti and help secure them a brighter future.